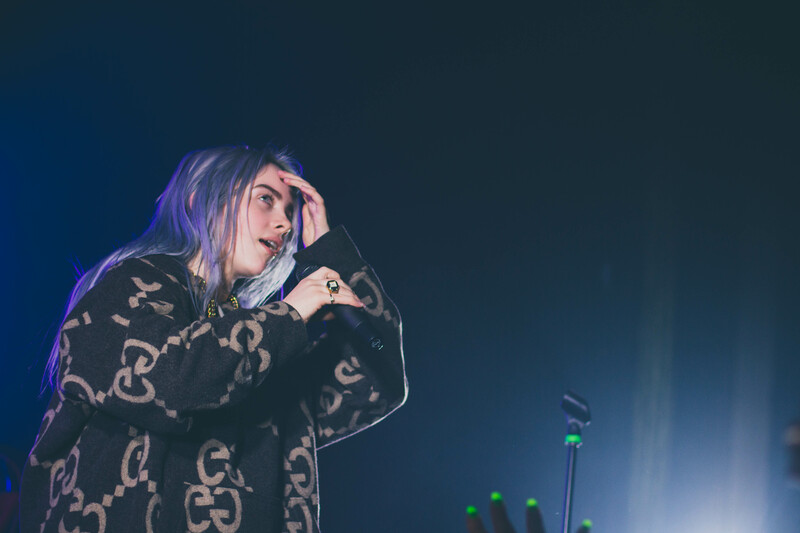 How can a 16-year-old have so much power over a crowd that she literally creates a stampede as people rush into the venue trying to secure the prime viewing point for her excellence? 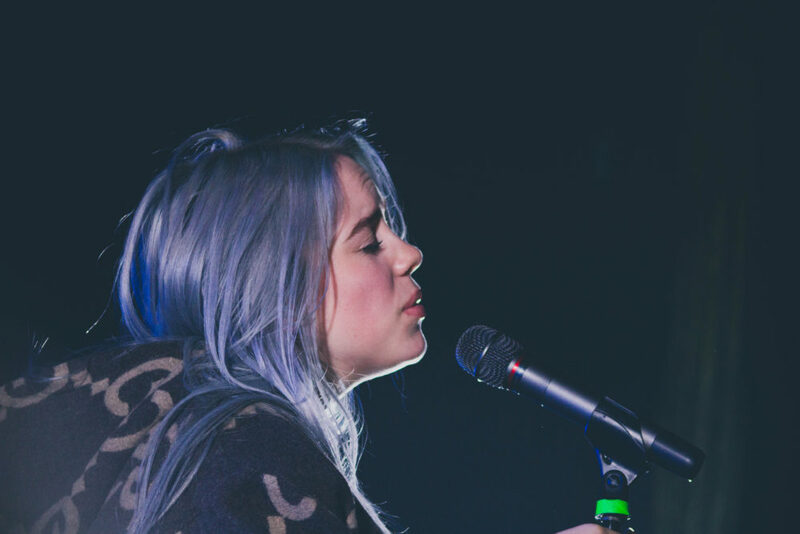 By being absurdly talented, carefree, emotionally raw and a beautiful musician and performer – that’s how. 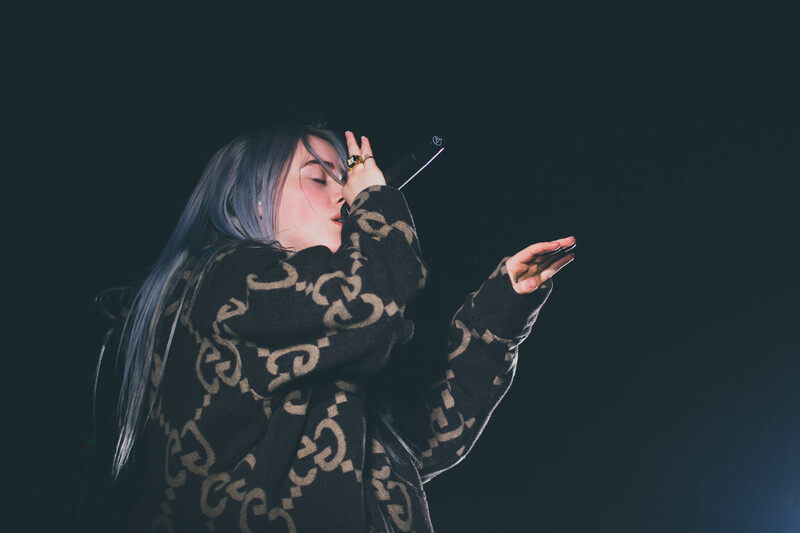 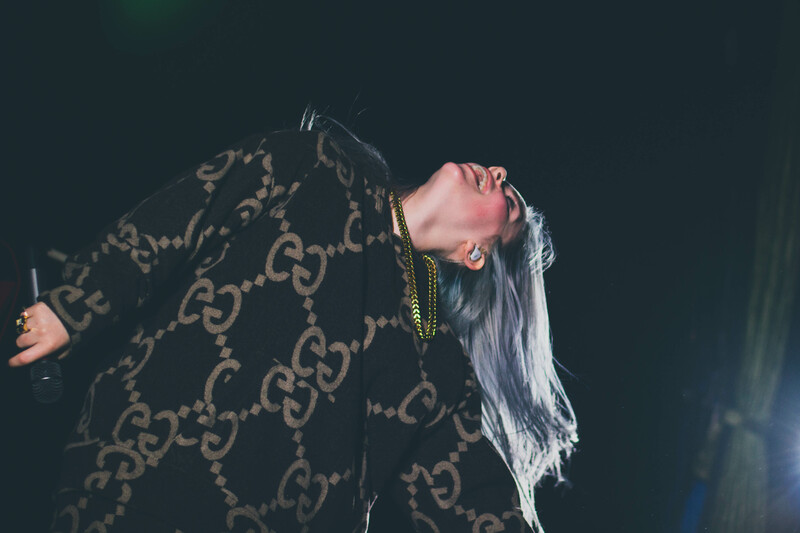 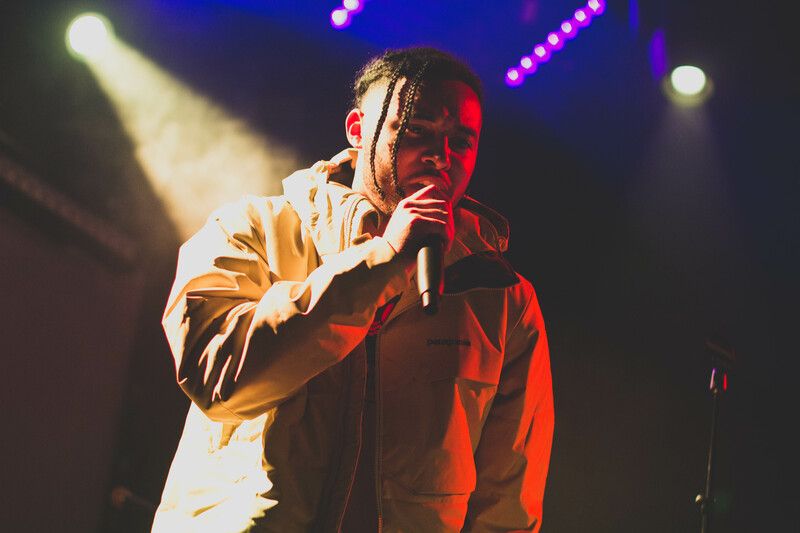 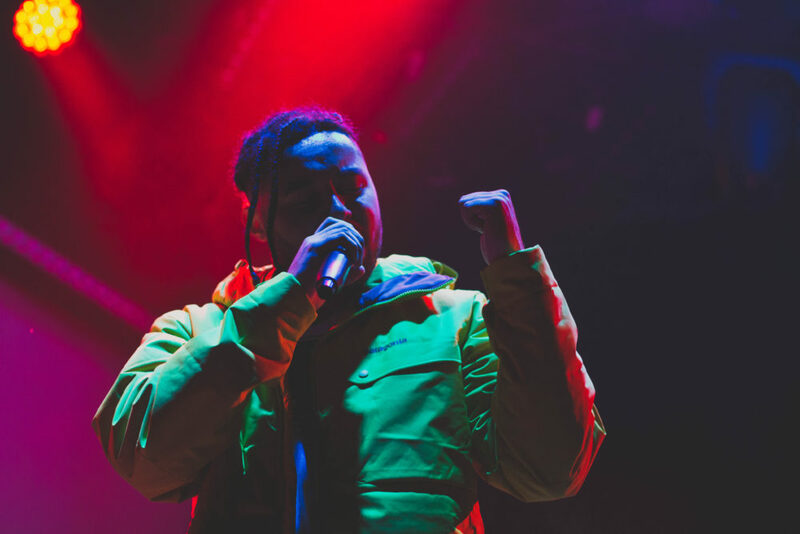 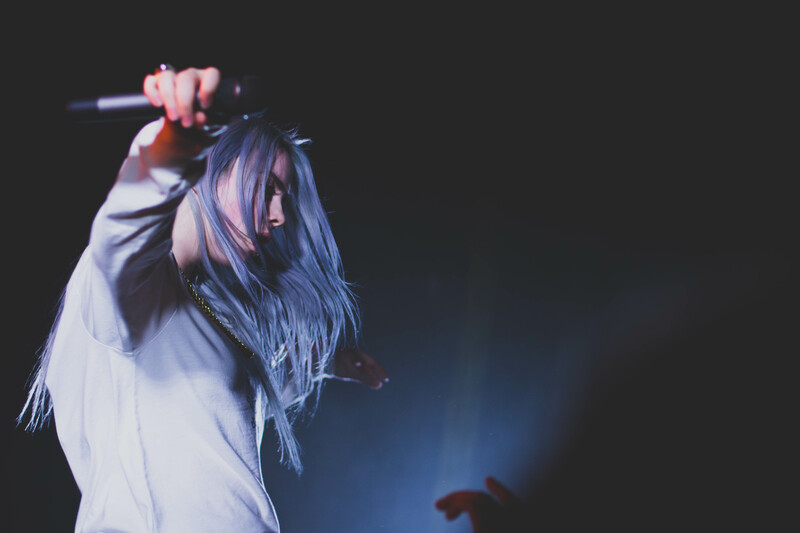 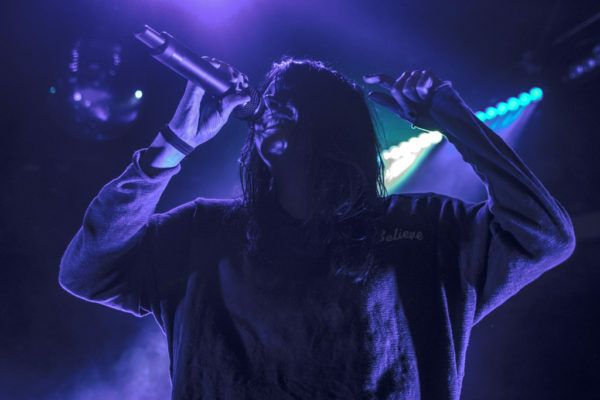 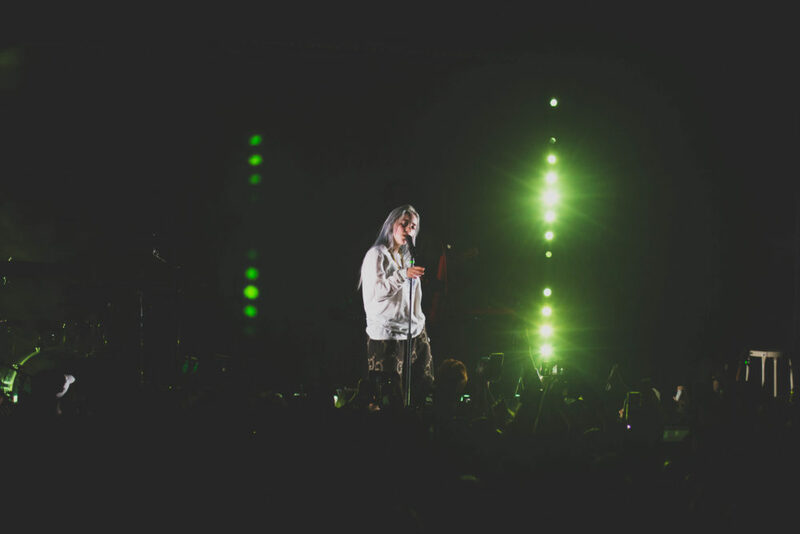 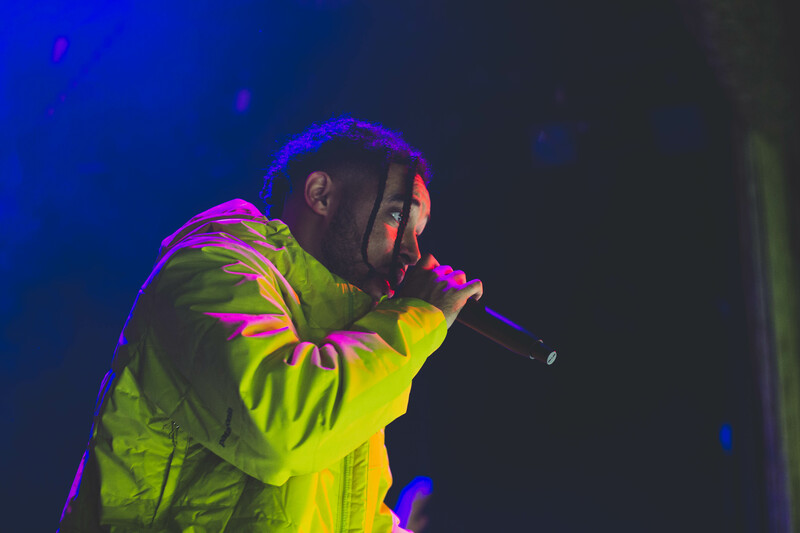 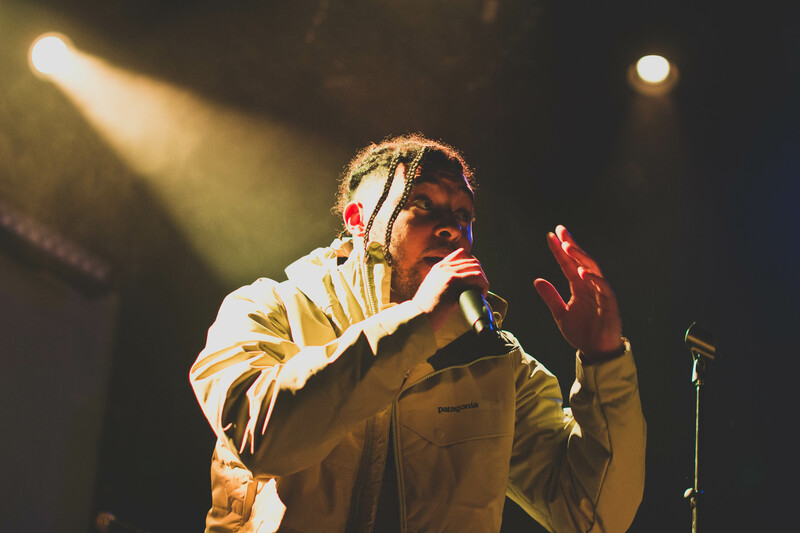 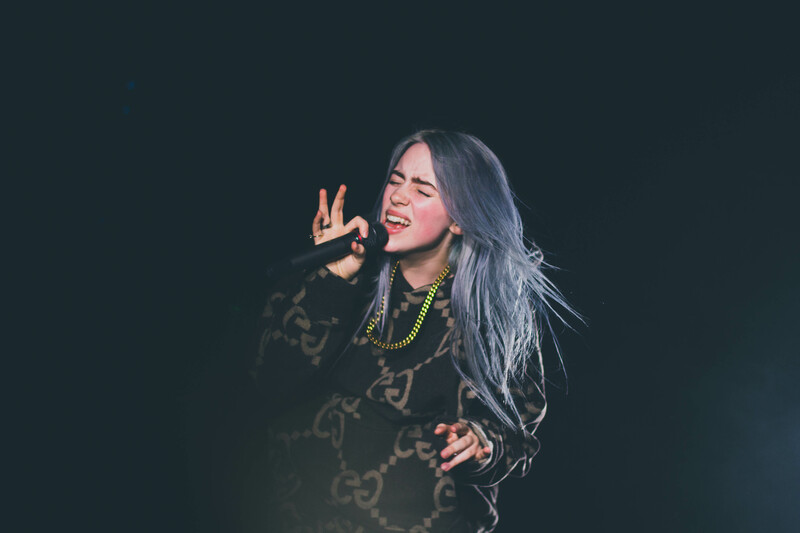 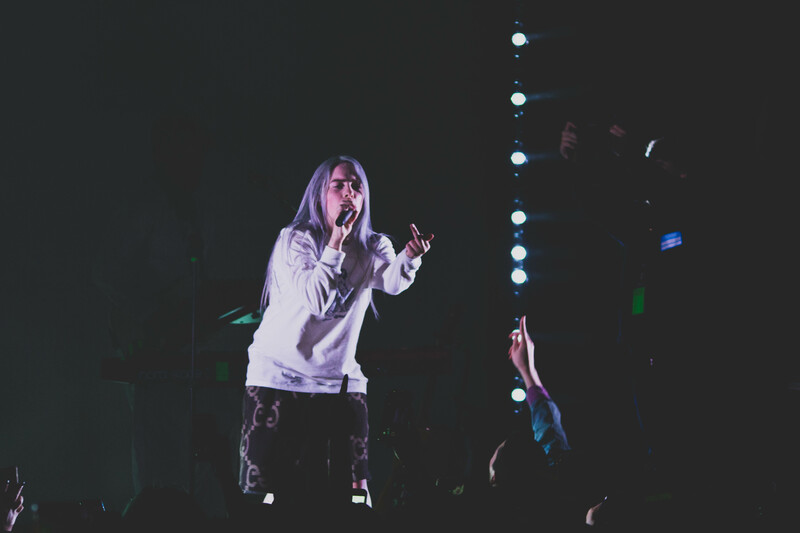 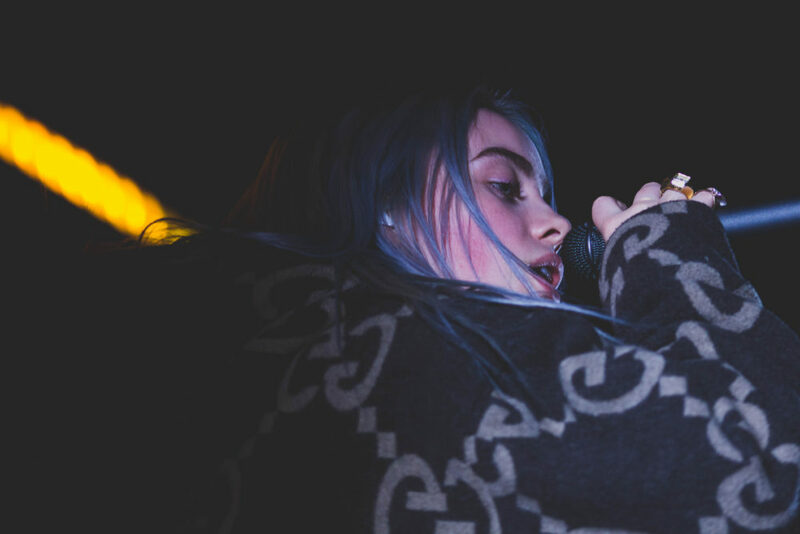 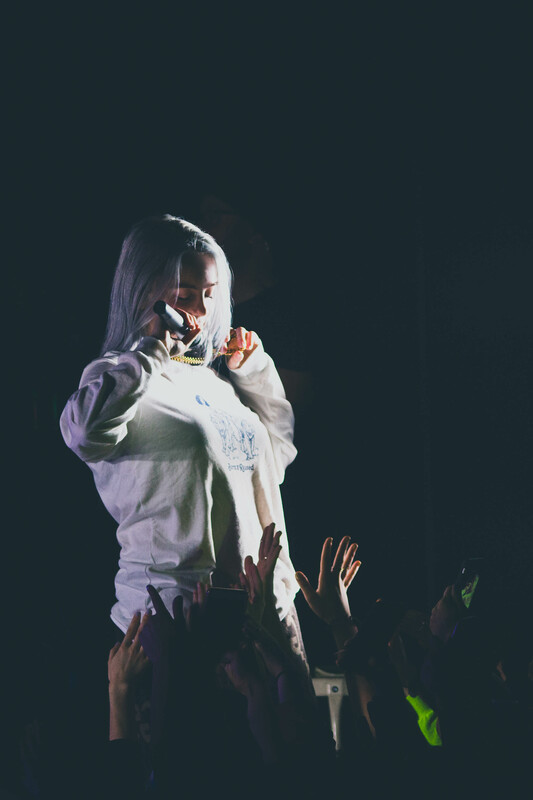 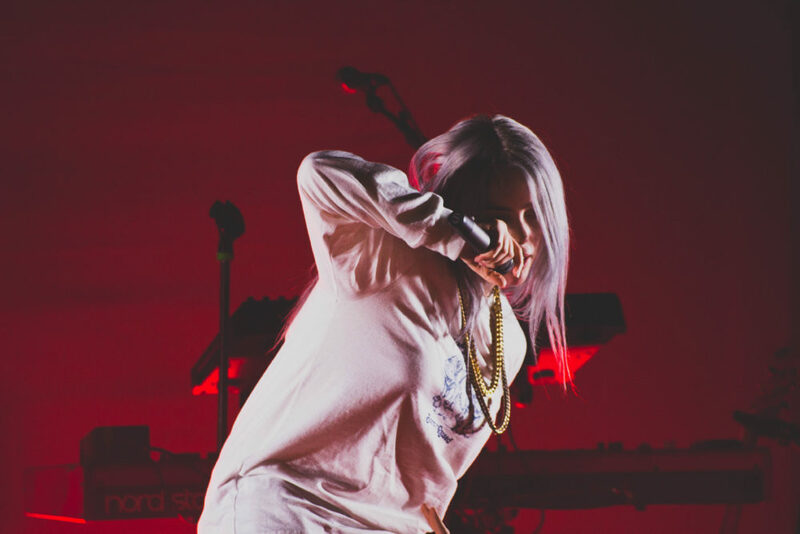 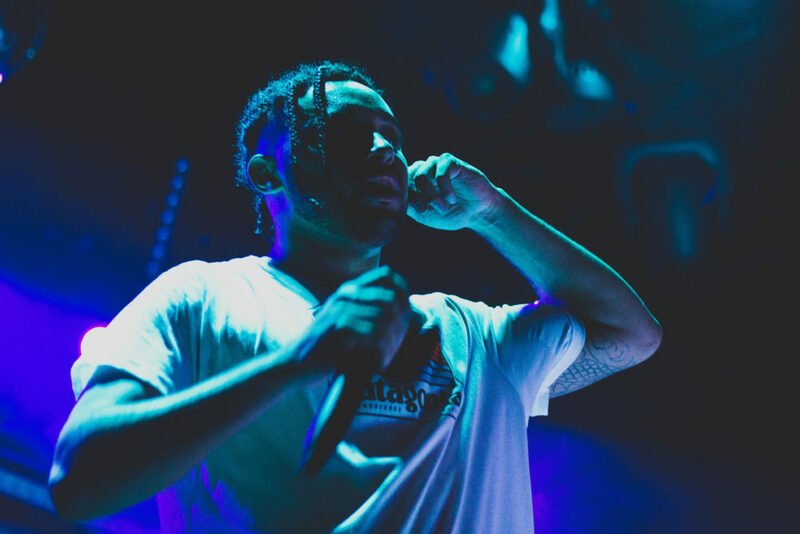 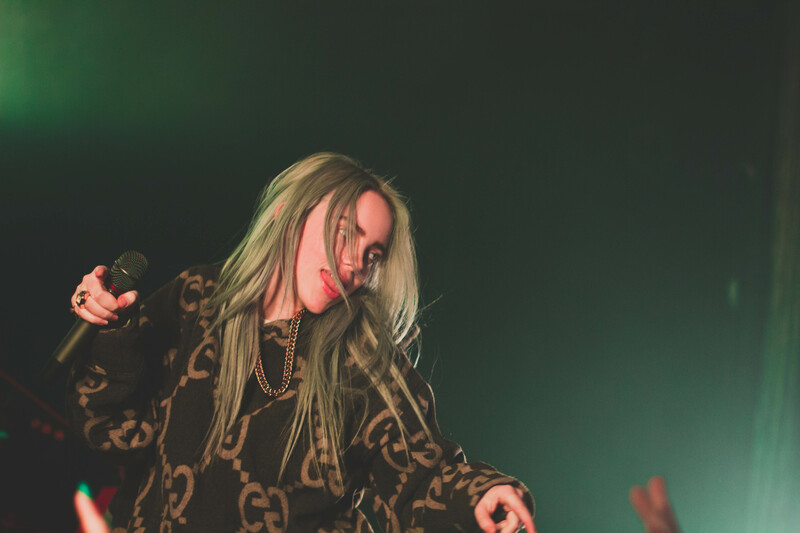 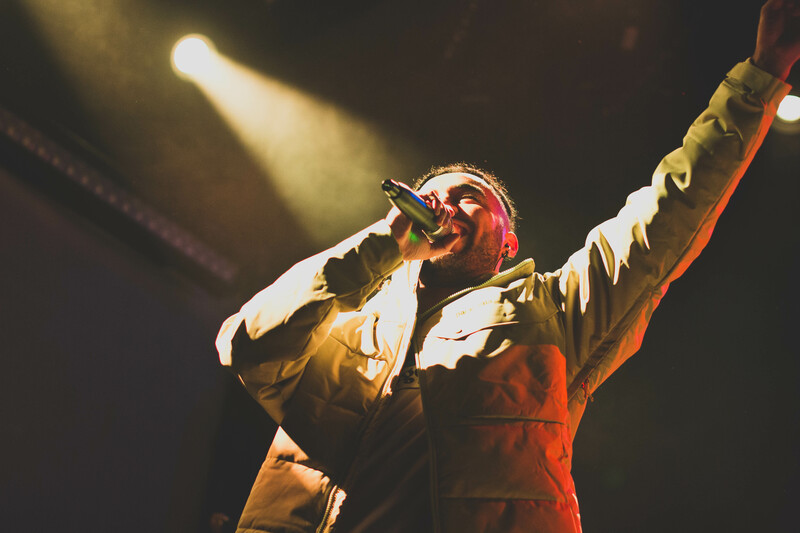 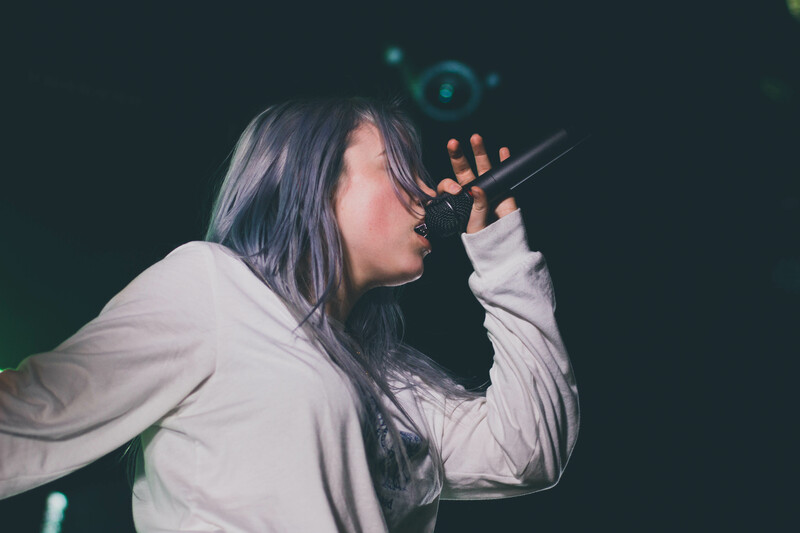 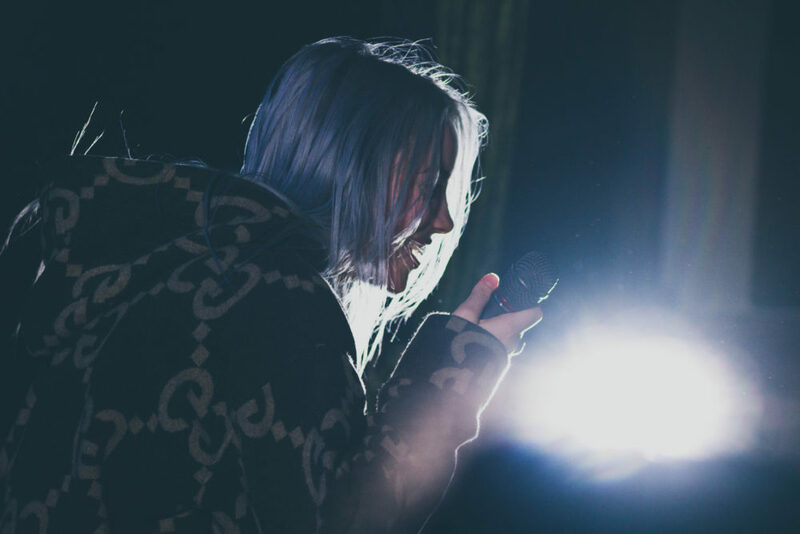 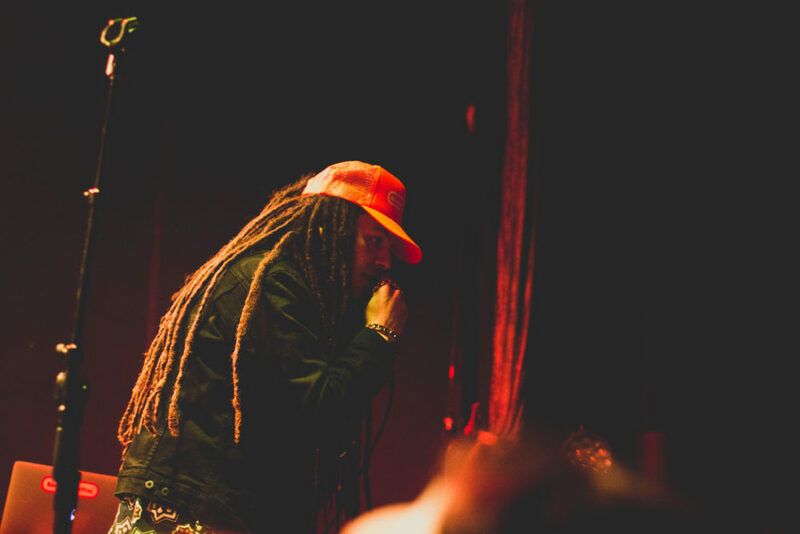 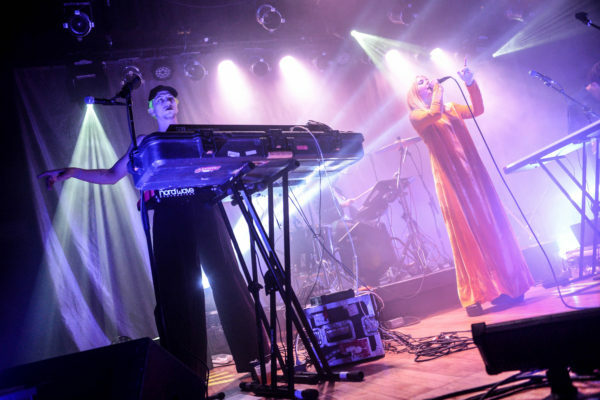 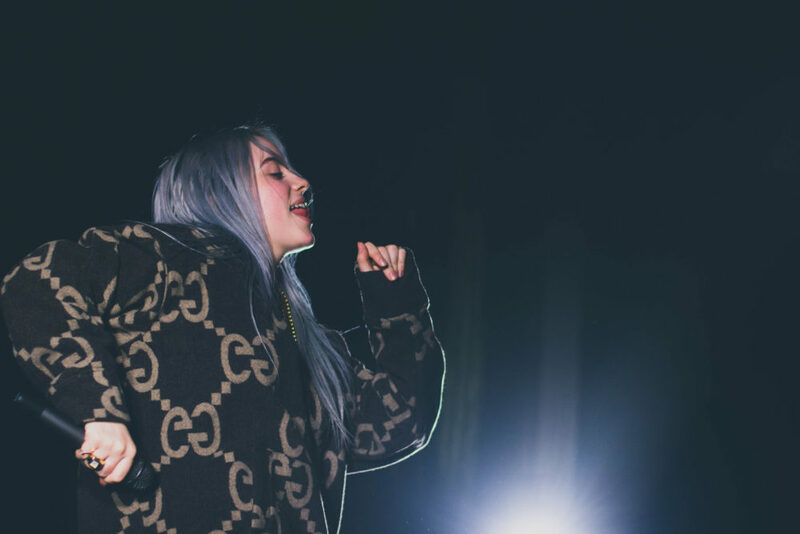 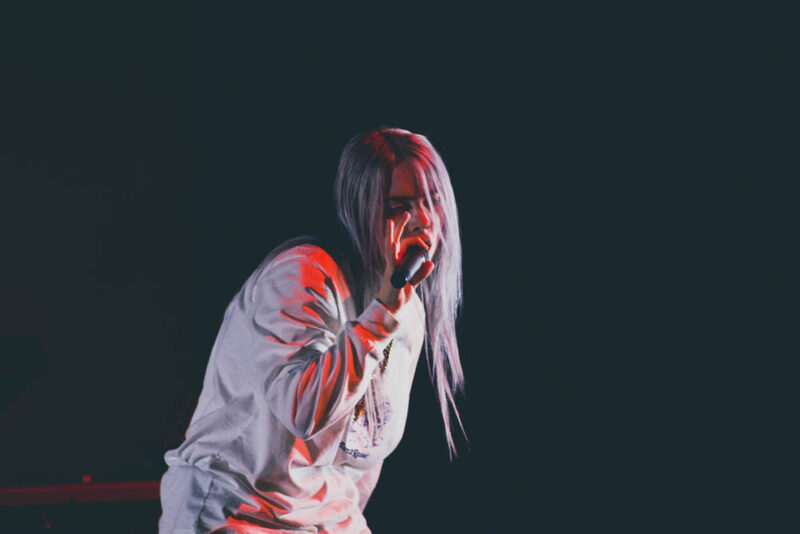 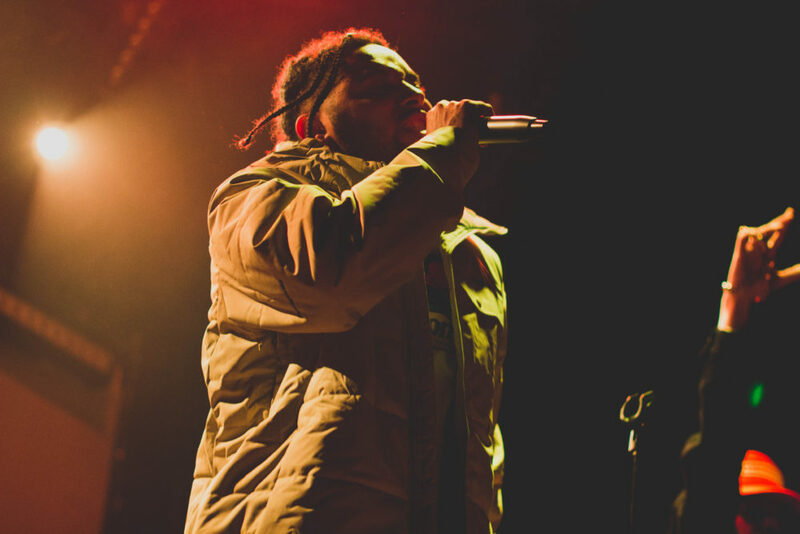 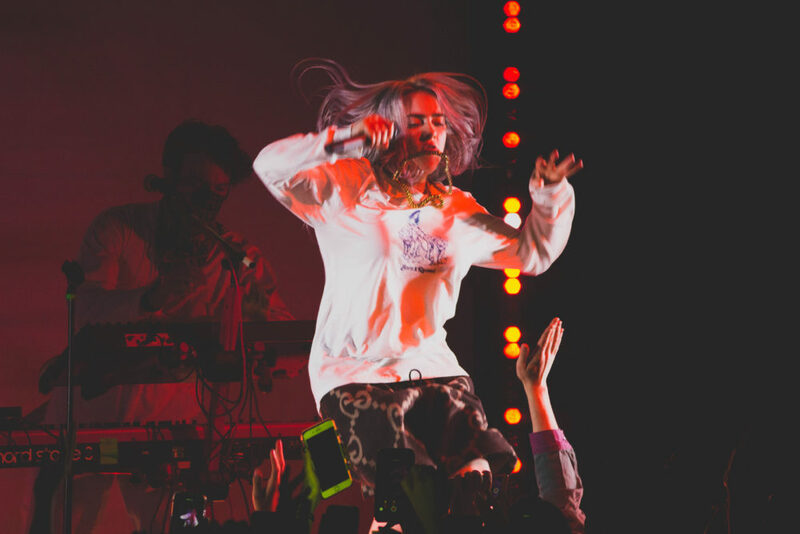 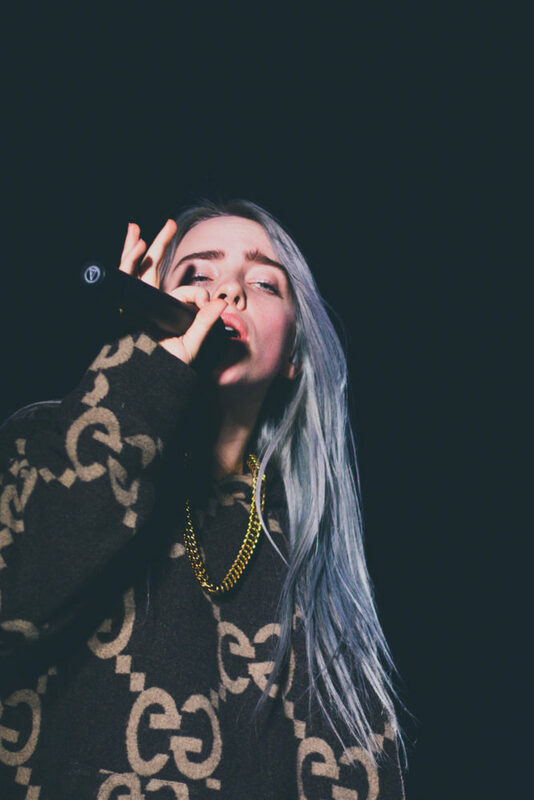 Friday night I got to see the insanity for myself as Billie Eilish created pandemonium at Bowery Ballroom. 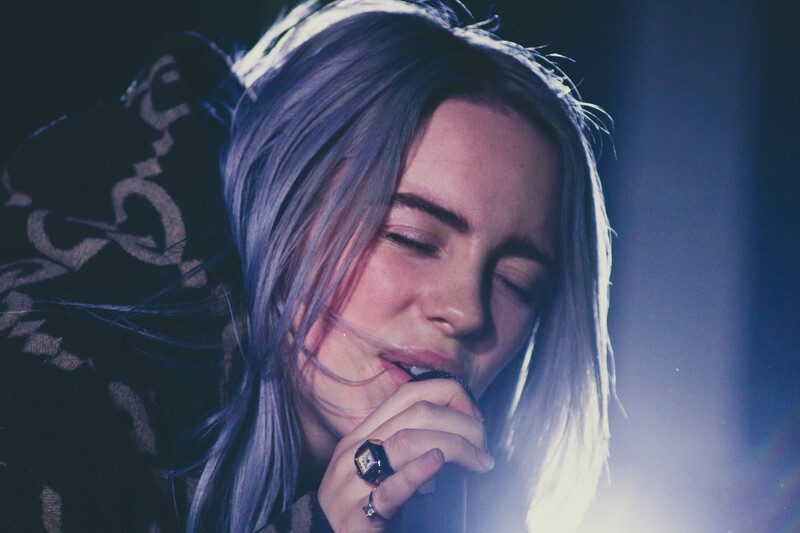 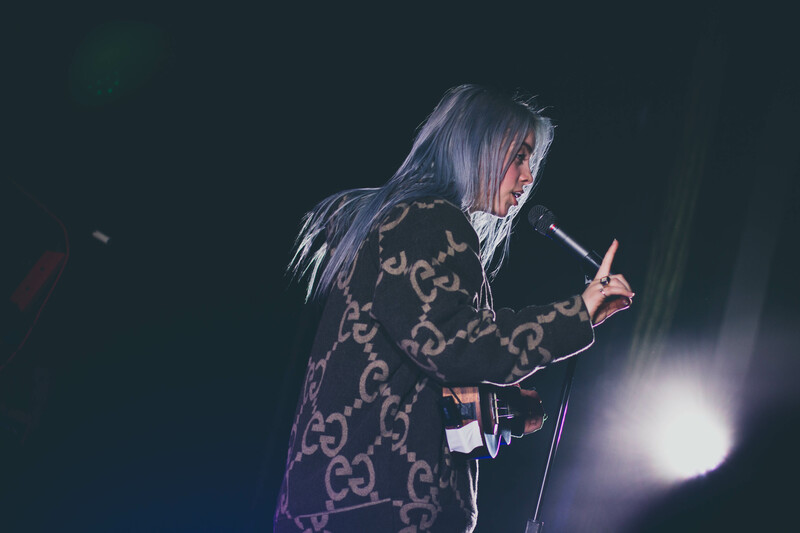 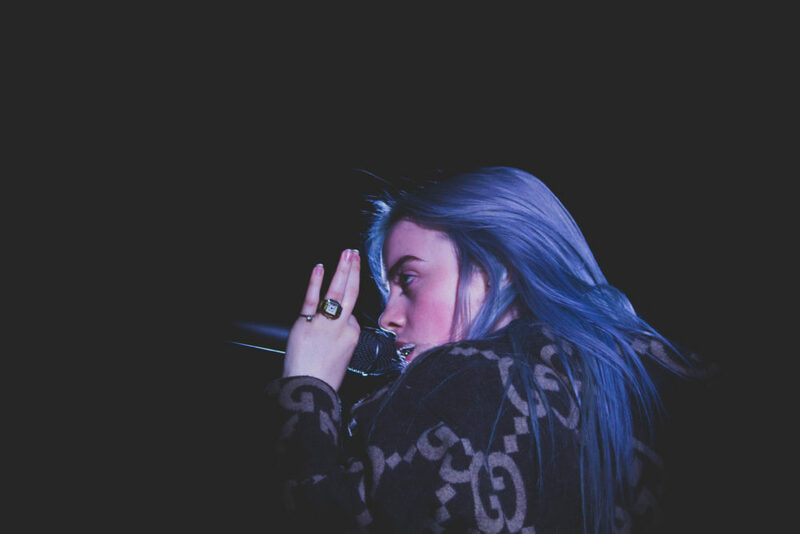 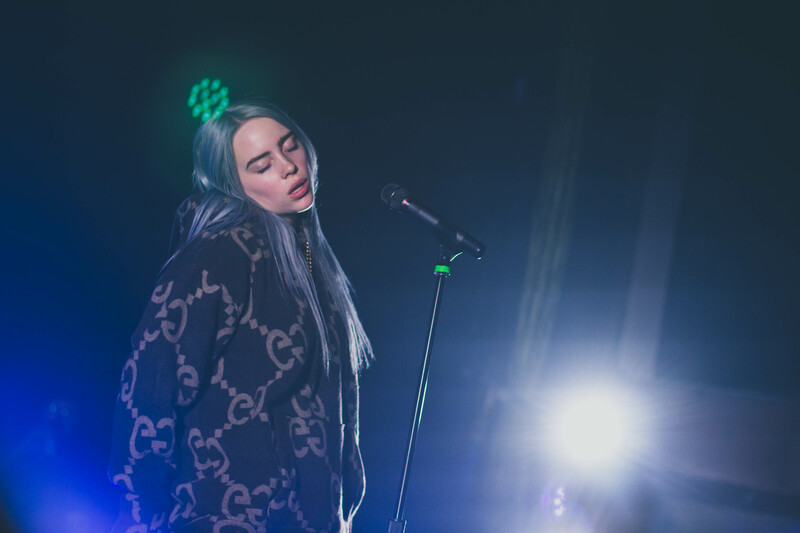 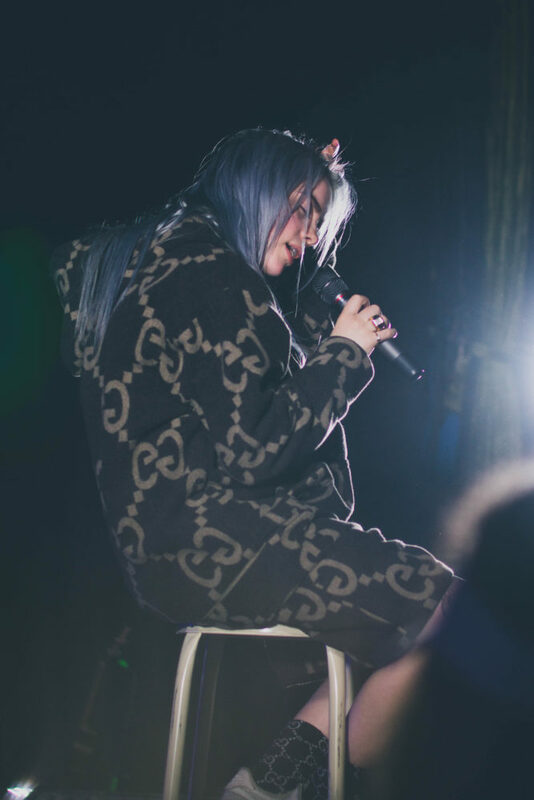 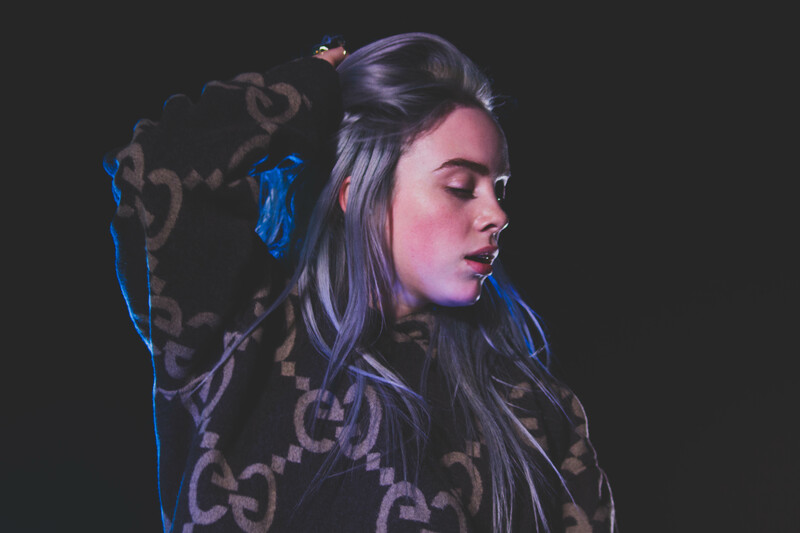 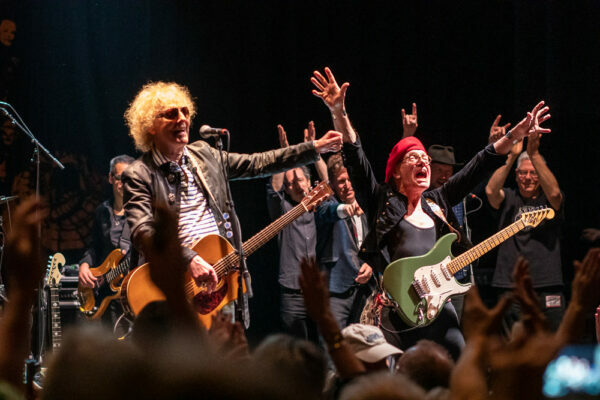 In support of her debut EP, don’t smile at me, Billie took her ‘Where’s My Mind Tour’ throughout the country making a stop at a sold out show here in New York City before taking on the festival circuit this summer. Opening the show that night was Reo Cragun and his hypeman/DJ, Keiro. 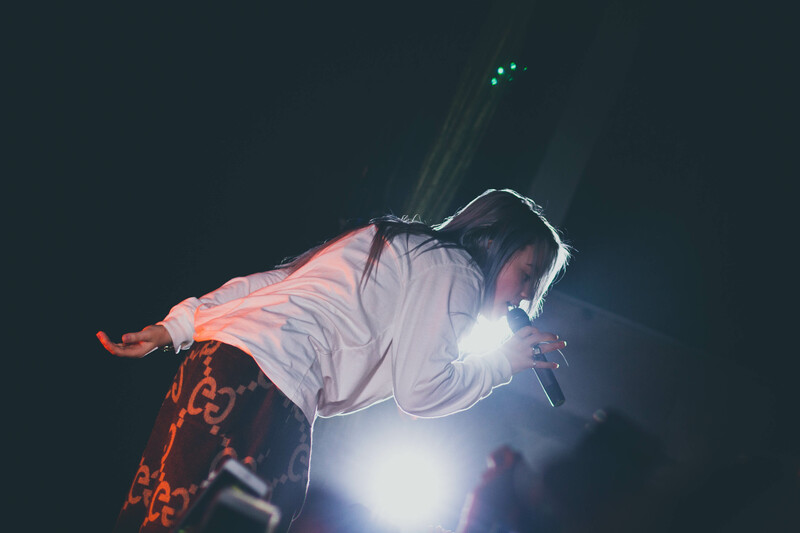 They got people dancing and excited as they enticed the crowd with calls for jumping, hand raising, and mom praising. 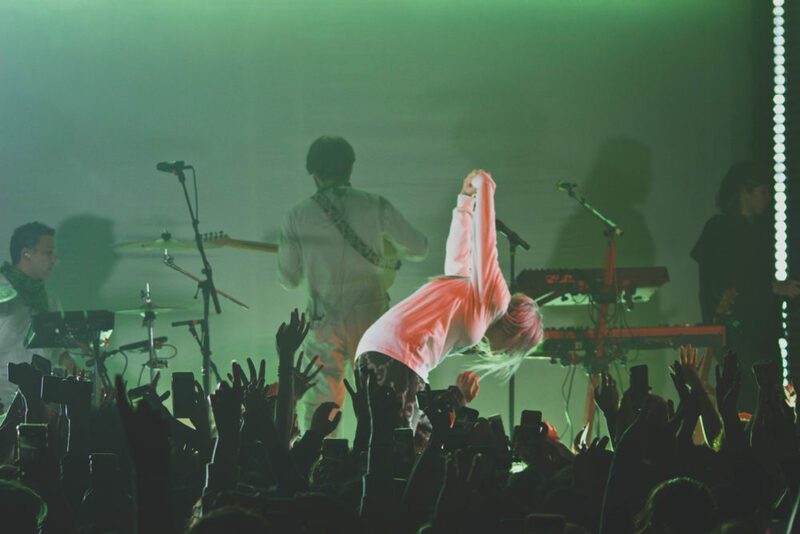 They left everyone a sweaty, cramped mess, pushed against the stage after all the jumping, not wanting to move in fear of giving up their spot. 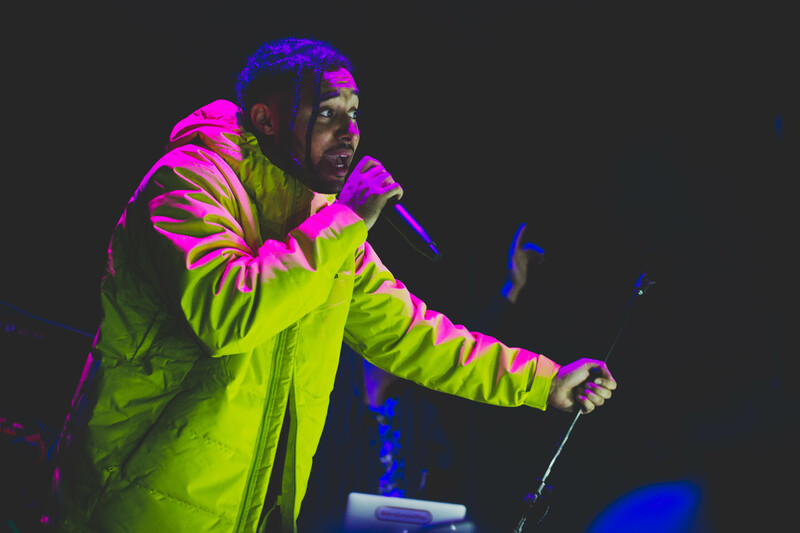 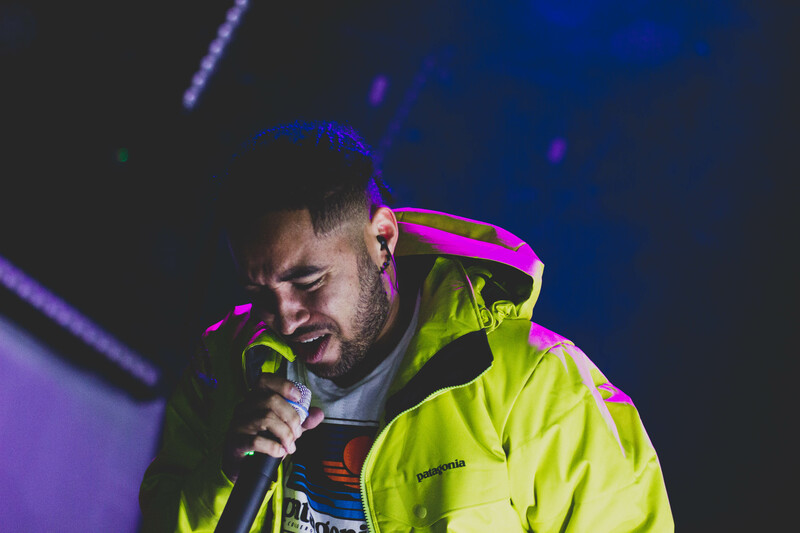 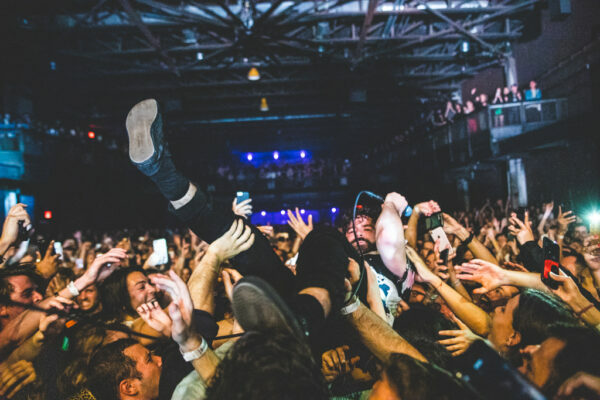 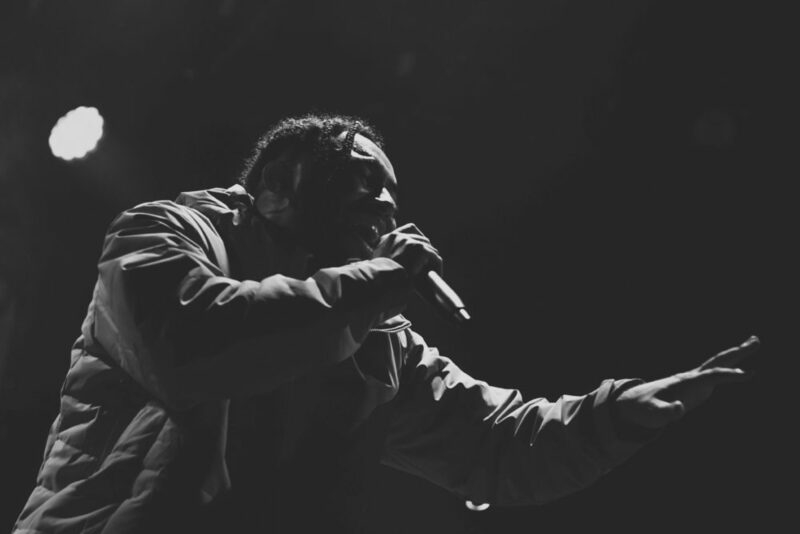 There was a point between acts where chants for “WATER!” erupted from the crowd – some of whom had been waiting outside in line for 11 hours that day. 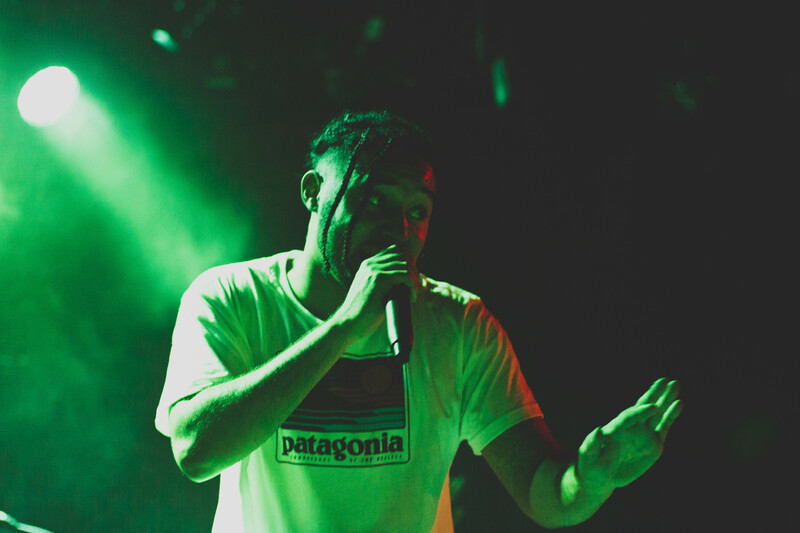 An employee from the venue took multiple trips back and forth filling up pitchers of water and handing out cups of energizing hydration until everyone had a sip. 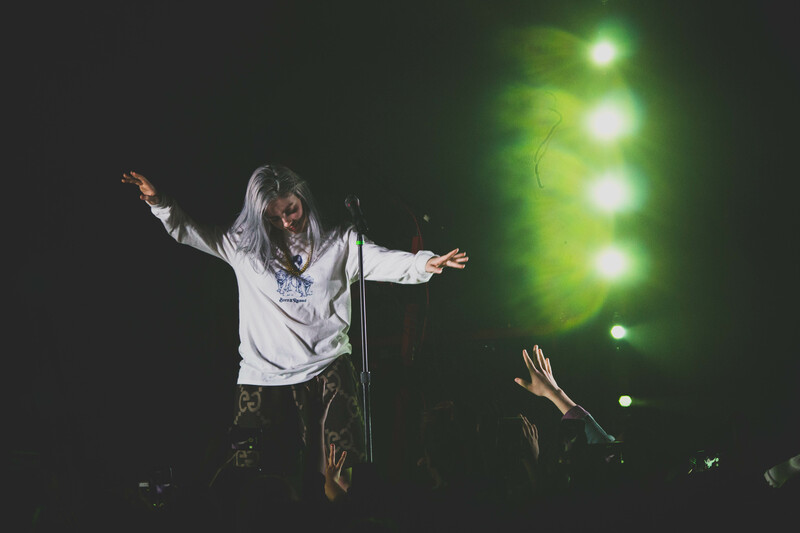 As the lights started to dance on stage, I felt the crowd sway forwards as if it was body of water pushing a wave to shore. 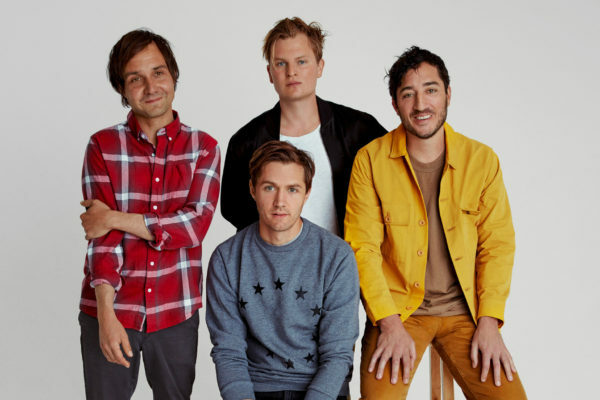 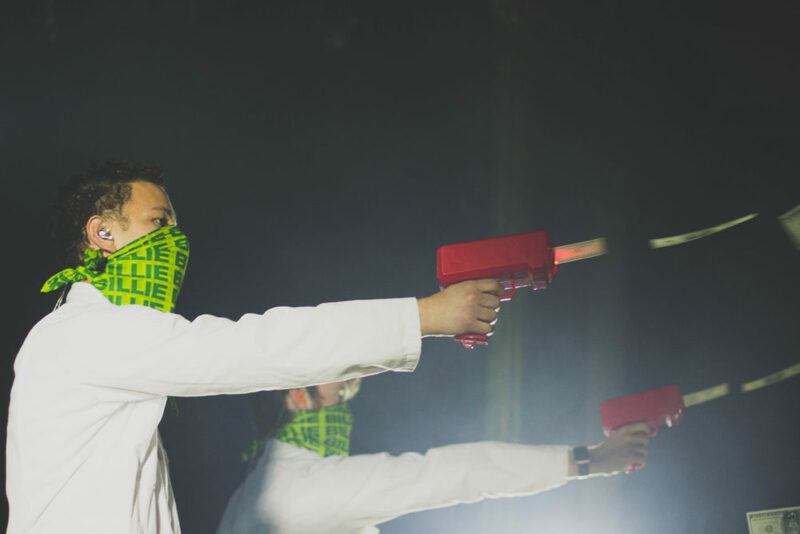 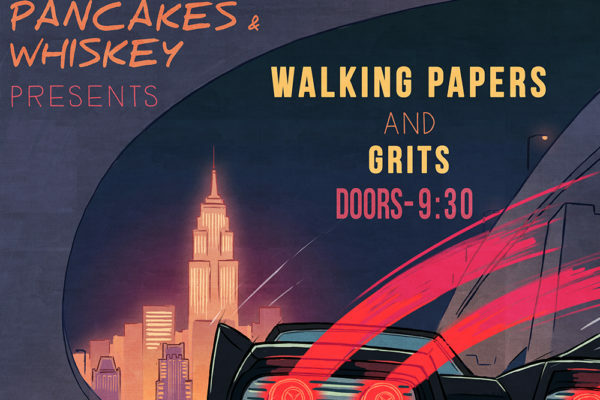 Two tall and slender guys emerged from backstage, faces cloaked in green “BILLIE” bandanas, and shot guns that spit out money (not quite sure if it was real or fake) into the crowd. 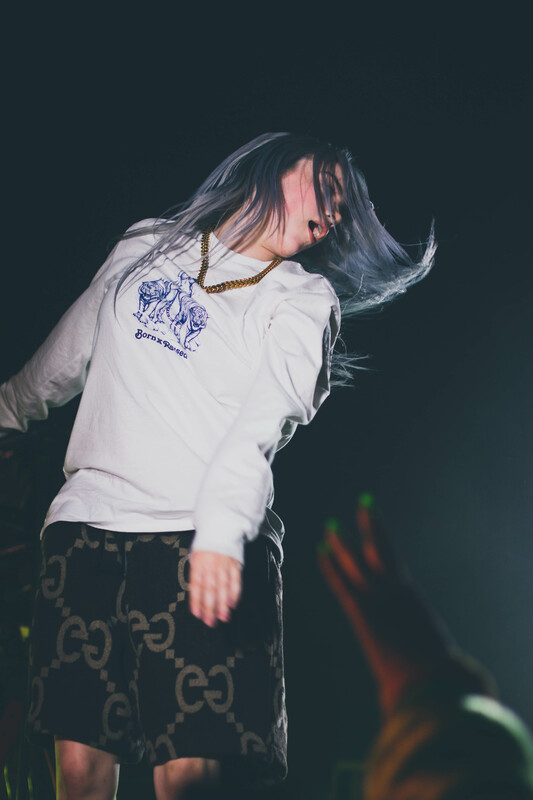 Billie burst through thick smoke and white light kicking and jumping as cell phones shot into the air. 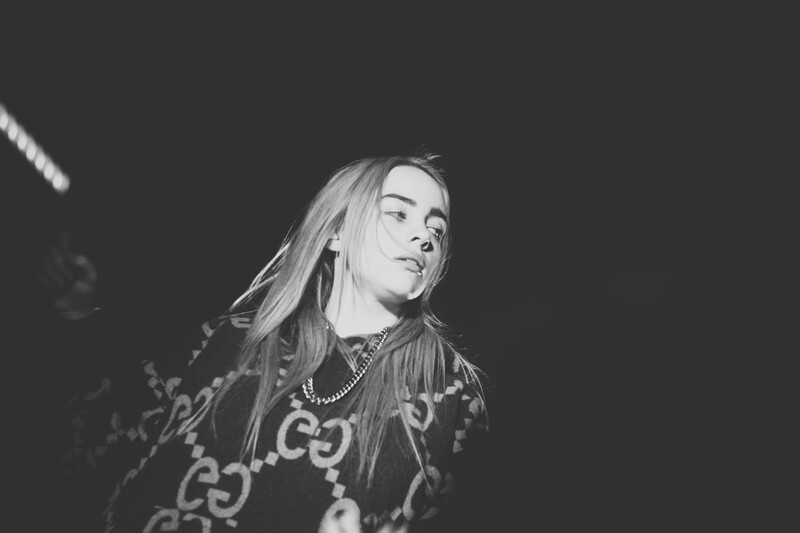 Her youthful energy contradicts her maturity and wise lyrics. 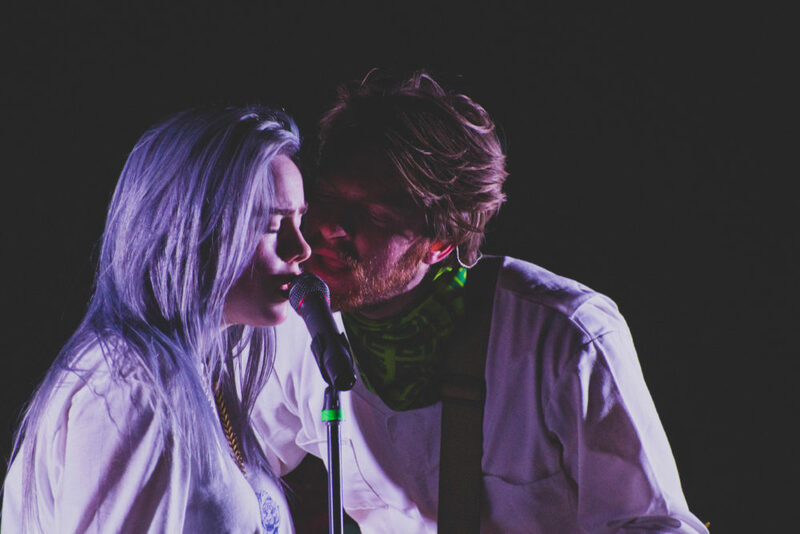 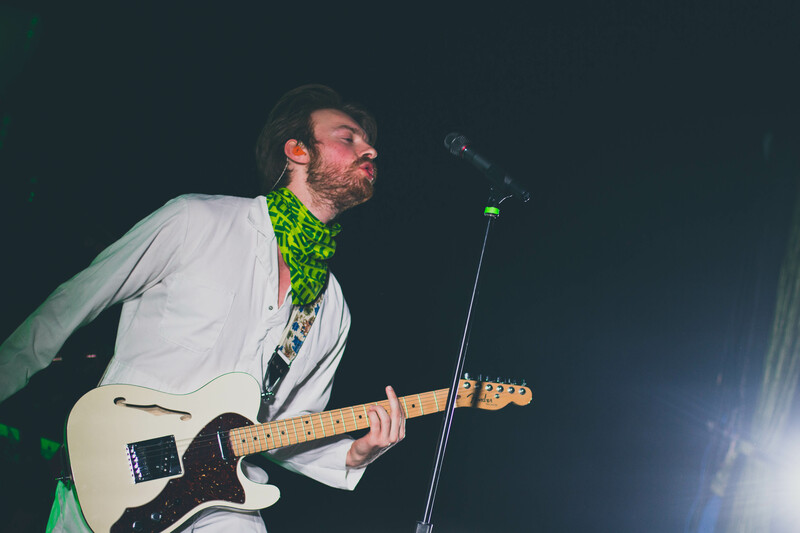 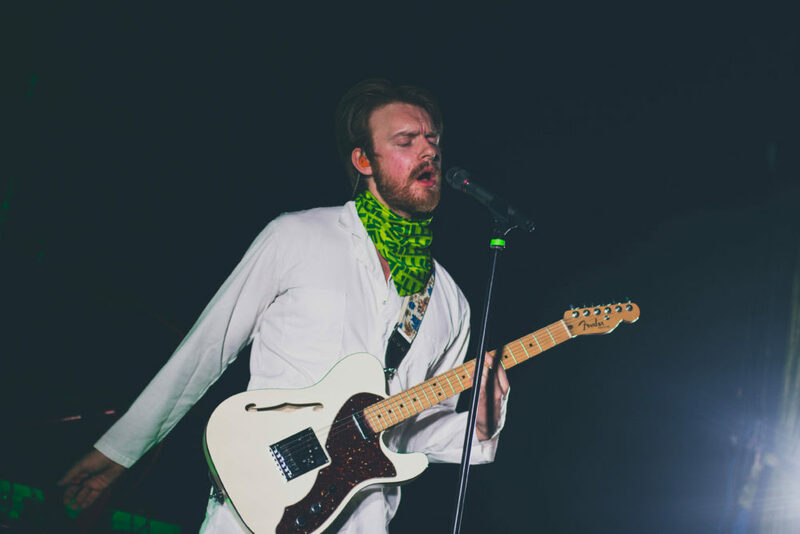 She and her brother, and bandmate, Finneas O’Connell, write all of her songs together – it’s very clear from the way that they vibe off of each other on stage that they have a very close relationship. 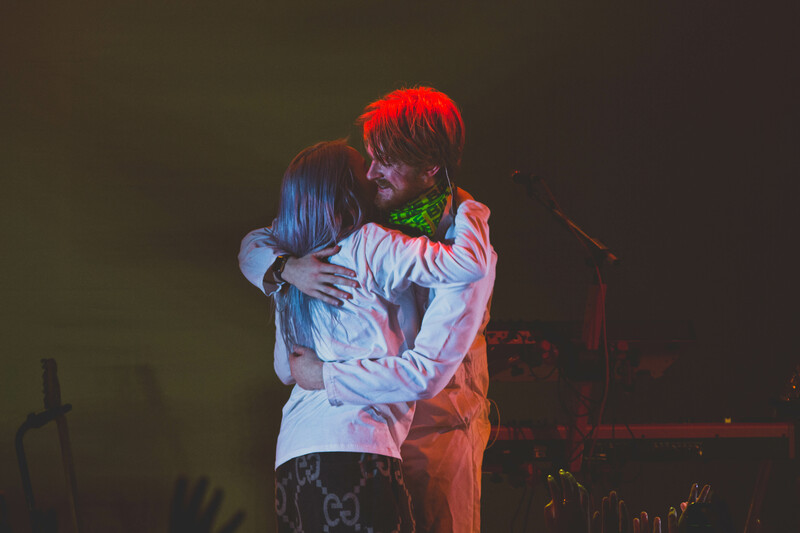 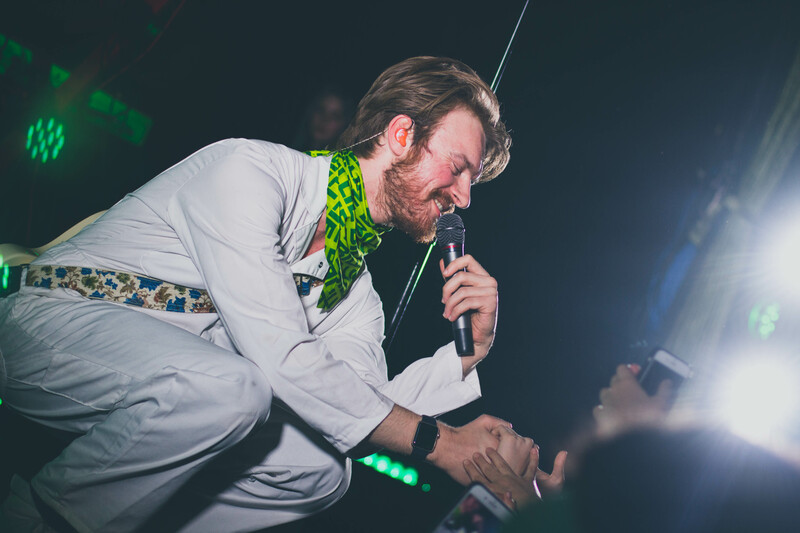 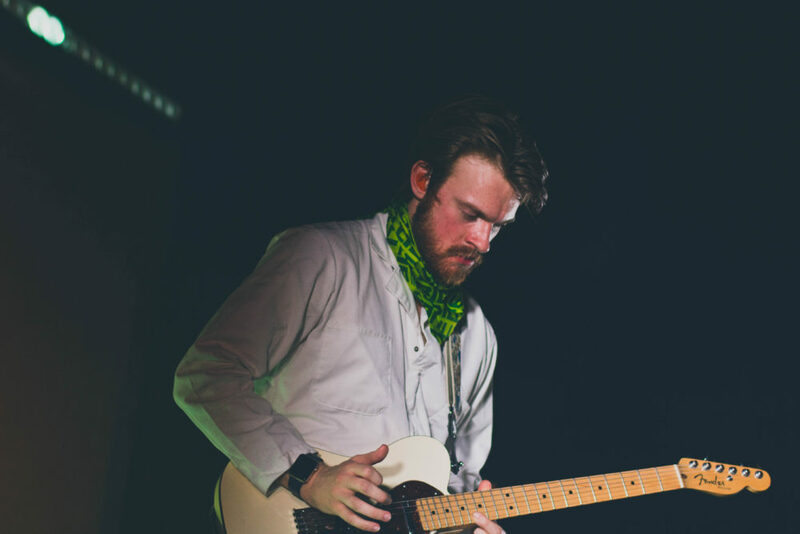 She even gave Finneas the stage at one point so he could perform a song of his own making all the girls swoon. 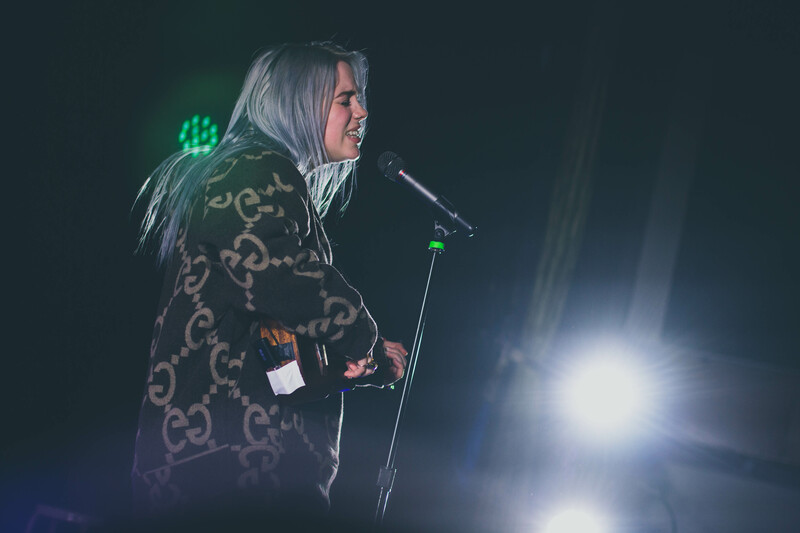 One of the highlights of the night was when Billie played a ukulele cover of Drake’s “Hotline Bling” with a coy airy-ness to her voice. 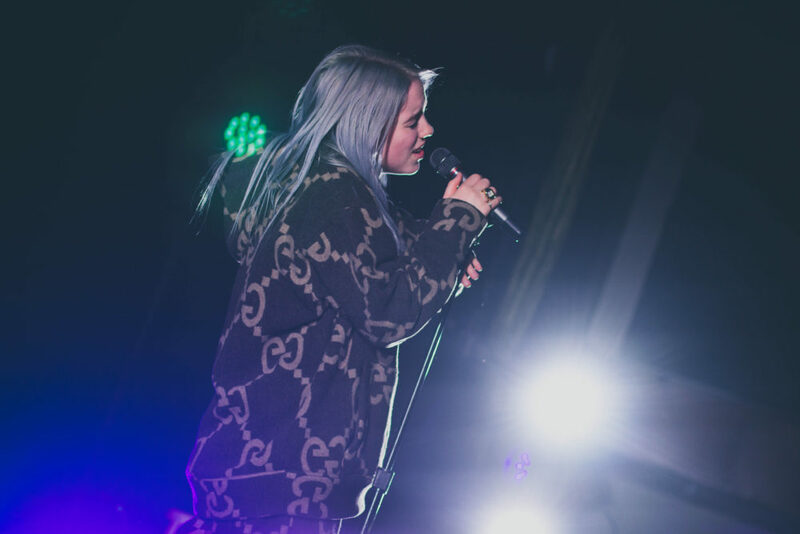 Her transition from that into the ringing of the phone at the beginning of “Party Favor” had everyone freaking out. She ended the night with fan favorite, “COPYCAT” throwing every last bit of energy into the crowd and them throwing it right back. 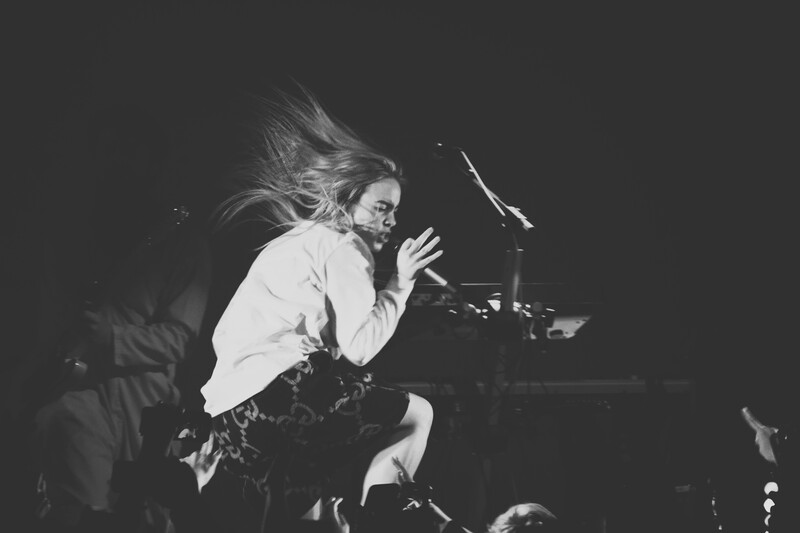 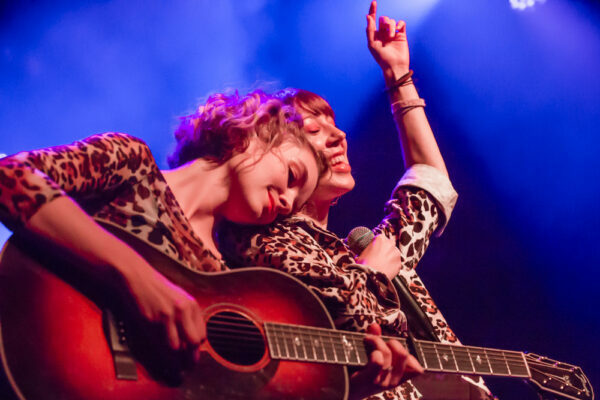 Anyone who sees her perform in a venue as small as Bowery Ballroom is very lucky because she’s going to be playing much bigger venues very soon.